Mother’s Day isn’t usually a big event in our house as it generally falls pretty close to my birthday. Some years it’s even fallen on my birthday. This year I turn the big four-oh and I am being treated to a whole host of dinners and parties, which started last weekend with Saturday lunch at the outstanding Ethicurean and then pampering followed by tapas at the Lido in Bristol on Sunday. My other half is cooking us a fabulous Middle Eastern feast for us tomorrow (my actual birthday), as well as baking his infamous carrot cake. And then next weekend there will be a gathering of family and friends at the Thali Cafe in Southville, and who knows we might even venture out to a club on Saturday night – partly to prove I’ve still got the stamina despite my advancing years. So this year I really don’t expect much on Mother’s Day. My family has organised quite enough for me already! And so when my Mum came to stay for a long weekend at the end of February, I decided to celebrate Mother’s Day a little early but in her honour. 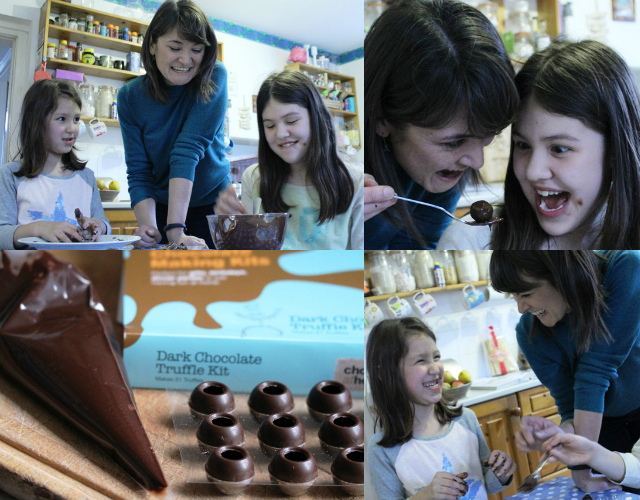 While the plan was for us to make Mum / Nana Cheryl chocolates, she couldn’t resist getting involved herself. It’s impossible to do anything in the kitchen when Mum’s staying without her mucking in. 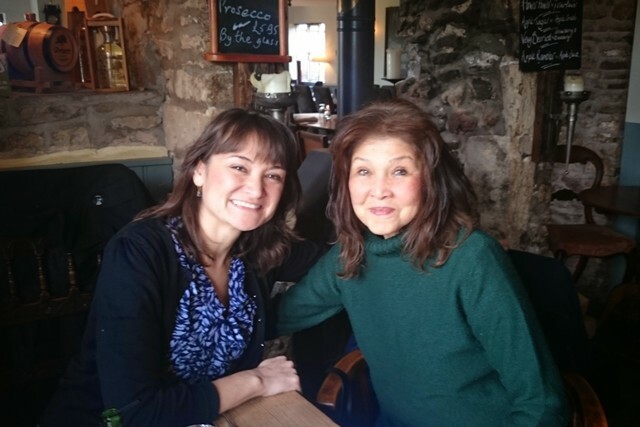 It was such fun with three generations of women getting messy and sticky together! And the end result was absolutely delicious. The Dark Chocolate Truffle Kit from Chocolate at Home makes it all so easy, providing everything you need to make professional truffles: beautifully rich and velvety ganache, encased in a delightfully crisp dark chocolate shell, dipped in more chocolate and smothered in chocolate flakes. If you like, you can as we did add any additional flavourings you fancy to the ganache. 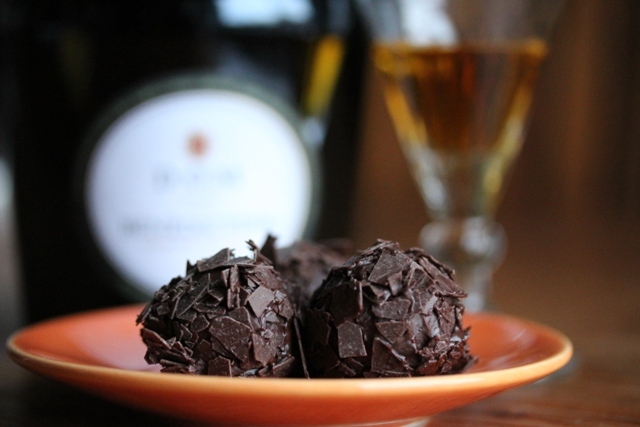 We only added a touch of Benedictine to ours (one tablespoon), so it provided just a subtle hint but if children aren’t going to be eating yours and you like a properly boozy truffle, I’d probably suggest adding a little more. If you’re looking for something different to make for (or with) your mum this Mother’s Day, I’d definitely recommend this kit to send you both into chocolate heaven. Order yours online at chocolateathome.co.uk. 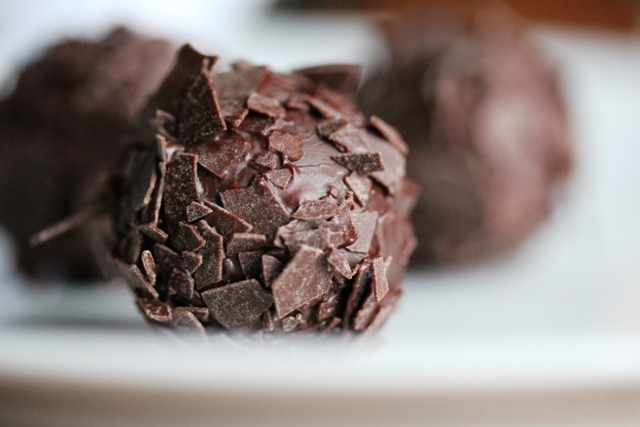 The Dark Chocolate Truffle Kit makes 21 delicious truffles and costs £12.95. Disclosure: Chocolate at Home provided me with a complimentary Dark Chocolate Truffle Kit for review purposes. No money exchanged hands and all opinions are my own (and my family’s). I hope you saved a few for me. They sound intoxicating!